How do people make inferences? How do their reasoning processes differ and why? Methods of Thought attempts to answer these questions by looking in detail at the different reasoning strategies people apply, how these are acquired, how they are selected and how use of these strategies is influenced by individual and task properties. 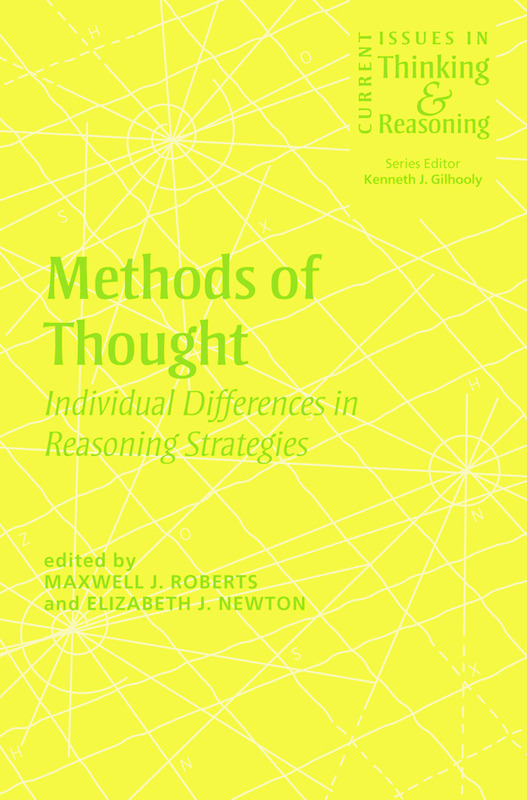 Focusing on empirical data and research into deductive reasoning tasks, this book summarizes current trends in the field and helps us to understand how individual differences in reasoning impact on other studies of higher cognitive abilities in humans. Contributors include researchers who have shown that people make deductions by using a variety of strategies, and others who have found that deductive reasoning problems provide a useful test-bed for investigating general theories of strategy development. Together, it is shown that these general theories derived from other domains have important implications for deductive reasoning, and also that findings by reasoning researchers have wider consequences for general theories of strategy development. This book will be of interest to anyone studying or working in the fields of reasoning, problem solving, and cognitive development, as well as cognitive science in general.